As a mom, I admit that it's difficult for me to find quick, yet healthy, options for my kids' meals. And that's where Mom Made Foods comes in. Mom Made Foods is a frozen food line that was created by Heather Stouffer when she couldn’t find convenient and healthy options for her own kids on hectic days. Her products offer hormone and anti-biotic free meats, organic fruits and vegetables, and low sodium content. Mom Made Foods has a pretty broad range of frozen food items. They come in three types -- Munchies, Bites, and Meals. The Munchies selections are Chicken Munchie, Turkey Sausage Munchie, Apple Pie Munchie, Cheese Pizza Munchie, and Bean Burrito Munchie. The Bites include Turkey Meatball Bites, Chicken & Apple Meatball Bites, Beef & Cheese Meatball Bites, and Italian Style Beef Meatball Bites. And finally, the Meals are Spaghetti with Turkey Meatballs & Sauce, Cheesy Mac, and Gluten-Free Cheesy Mac. Mom Made Foods are available at Sam's Clubs and other local grocery stores. My Sam's Club is on the smaller side and didn't have these products; however, my major grocery story chain Giant did. While they didn't carry every item in the product line, they did have a nice selection. I chose the Bean Burrito Munchie and the Chicken & Apple Meatball Bites to sample. You can check out their website to find a store near you! I first tried the Bean Burrito Munchie and I can see how kids would like it. The box included two small burritos and each one was small enough for toddlers to pick up and eat. I liked that they had enough flavor while not being too strong for kids to enjoy. The crust was made with whole grains and packed with brown rice, corn, green pepper, cheese and beans. I also sampled the Chicken & Apple Meatball Bites which I felt were even tastier. They were very easy to prepare with just a little water and 60 seconds in the microwave. I had them plain, but they would be equally good in a sandwich or even with a pasta sauce. As a mom to a child with severe food allergies, I really appreciated that these meatballs contained no egg or dairy and were safe for him to eat! One thing I really like about Mom Made Foods is that they are healthy for frozen meals. They include healthy vegetables and grains while keeping sodium and sugar levels relatively low. For example, her Cheesy Mac includes sweet potato and butternut squash puree in the cheese sauce so that it goes undetected by kids but is full of additional nutrients. You can also add peas or broccoli to make it even healthier. Making quick and healthy foods that kids will eat can certainly be a challenge for today's busy moms and dads. 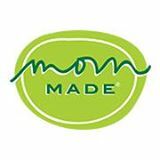 I definitely recommend checking out Mom Made Foods entire line of products. There's sure to be a few that your family will enjoy! Hm, I wonder if those are sold around here. They do sound like a healthier frozen food option. Always good to find a kitchen helper that actually lives up to it claim of being relatively healthy. I wonder if our Sam's or Giant has these products.